A smooth jaw line is considered attractive and youthful. As we age, the skin all over the body loses its tightness and elasticity causing wrinkles and sagging skin. Sagging skin, skin folds, wrinkles, and color changes are the most noticeable signs of aging. For those who are self-conscious about signs of aging, Dr. Hunter Moyer, MD offers cosmetic surgical procedures to enhance your appearance and feel more confident in your own skin. Neck lift surgery is a procedure that helps tighten the bands and sagging skin that often becomes noticeable under the jaw line. A neck lift is done to achieve a well defined jaw line or “cervicomental angle.” Neck lift surgery is often combined with other facelift procedures in order to gain a fully bright and rejuvenated appearance, but neck lift surgery can also stand alone if you are simply self-conscious about your neck. 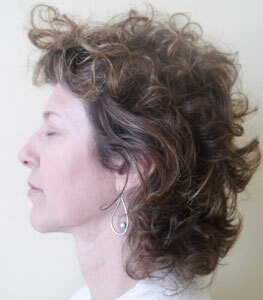 The goal of a neck lift is to tighten the excess skin along the neck to eliminate and prevent sagging and wrinkling. Because the muscles of the jaw are closely connected to the neck, a lower facelift done in conjunction with a neck lift surgery often offers the most desirable results. Dr. Hunter Moyer, MD has years of experience and world-class training for performing neck lift surgery and other facial rejuvenation procedures. His artistry and skill help him ensure that he is able to meet the desires of his patients while also providing minimal scarring to result in the most beautiful outcomes. If you are unhappy with the appearance of your neck, or you are hoping to achieve a more defined jaw line, please contact the office of Hunter Moyer, MD today to schedule a consultation regarding neck lift surgery. We make every effort to make your experience as pleasant and rewarding as possible.